Can Technological Reforms in Education Improve our Job Prospects? We use technology in every domain of our lives. Be it education or household chores, without our prized gadgets, we feel incomplete. However, have you ever wondered whether this technology is actually improving our work or have we just become super habituated to this trend so as to ignore the direction of its impact? For example, is technology really improving the quality of education in the world or is it just a fad that every individual is running after? Initially, education technology was a simple debatable topic in the society. It soon grew into a massive idea with Steve Jobs entering the fray and proclaiming his vision for education. All he wanted to achieve was to revolutionize teaching and learning, which he did, leaving behind a legacy of numerous technological and educational apps. To elucidate more on the topic of this article, there is no doubt that technology has improved the quality and standard of education in the world, but has it done so for the betterment of our future? Can you expect to land a great job because of the learning achieved through superior methods of teaching? The answer is, yes. 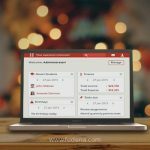 Technology allows students to construct their own knowledge base, which can be employed to enhance business practices at work. It is but the bridge that connects education and employment. Innovation has the tendency of killing jobs in order to construct some new ones. The society is progressing and its inhabitants are becoming richer by the moment, demanding more goods and services. 100 years ago, a majority of individuals across the globe were involved with farming. Now, a very less percentage of that number work in fields but produce much more amounts of food. The millions freed from the land have not become jobless but have found better-paying work with the evolution in economic and educational reforms. Needless to say, this universal change in tactics has its roots in educational restructurings. Exposure to technology at a young level has made individuals more aware of their surroundings and mental capabilities. Students can channel and package their creative genius in ways that were unknown in the past. Technology can give you wings. More so to the younger generation who can use this reform to spark innovation and think outside the box. A highly ingenious mind is always attractive to an employer, thereby improving employment opportunities. 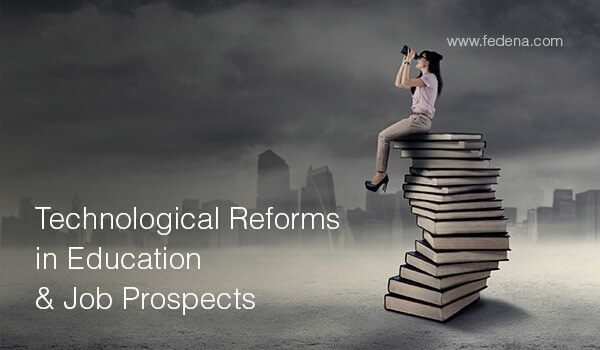 The best answer to the topic of this discussion – reforms in education can improve your job prospects because of how they stimulate and excite the grey matter. Apart from improving your analytical and problem-solving skills, exposure to all that information in a short period of time improves relationships and has the ability to bridge cultural gaps. A student well-versed in the latest trends can approach an employer with greater confidence and a positive attitude. Such an individual has the correct knowledge base required for the smooth functioning of an organization. Maturing at a young age through the magic of education helps in adapting to diverse situations and work cultures. Ensure that this personality trait is visible to a hiring manager. Digital revolution at a young age has unleashed an overwhelming amount of prosperity felt by both the low-skilled and high-skilled worker. The world has progressed and jobs in the IT, software, and programming sectors have become very popular with the masses. Online learning and virtual classrooms give a glimpse of technology that drives most business processes. Exposure to the same at an early age, before you start improvising at work, gives a better sense of what you are dealing with. Distance learning programs at school level foster national and international relations. Learning from educators from a foreign land helps in developing confidence and broadening your mindset that can be put to use when sitting for a job interview. With the help of the internet, students can share their experiences with thousands of individuals. This helps in accelerating the rate of knowledge acquisition. Social media websites aid in networking and establishing contacts all over the world. Be it Facebook, Twitter, or LinkedIn, connections made on these portals can stay for life. 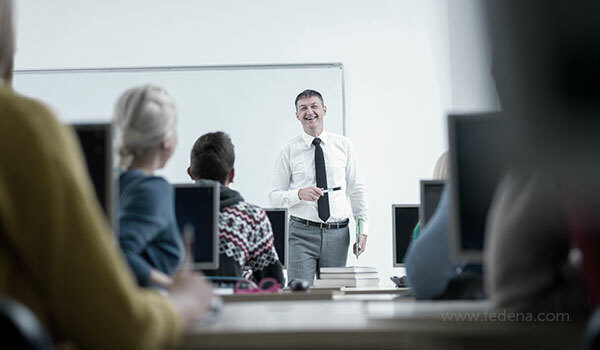 The modern methodologies of teaching are pretty much common all over the world. You could use a laptop to finish assignments in India and in America. Common teaching practices put every student on an equal platform. In another 10 years, children across the globe will have equivalent access to information for their subsequent growth and development. As such, it will also change the entire hierarchy of the employment process. If every child is the same, how do you select the best? This is where the “application” of the acquired education comes into play. Students with enhanced analytical and problem-solving skills stand a better chance of being employed than their competitors. Talking about universal employment opportunities, gone are the days when jobs were listed only in the newspapers. With online job portals, several sites have emerged in India and abroad which provide a list of all the employment options available for a range of verticals. Honestly, there is no dearth of opportunities today. Great innovators like Steve Jobs envisioned that if passionate teachers serve students in a meaningful way, they can definitely address their potential for success. He not only wanted the teachers to embolden the students, but also to equip them with faculties required to think outside the box. Revolution has just begun and it will surely impact our future generations, positively, in times to come. Tina Jindal. She is a professional writer who works on a variety of topics like employment, real estate and on job sites in India. She has been involved with renowned publications and has tried her hand at editing works on Cookery, Gardening, Pregnancy, and Healthcare.